Here is one recipe from my mum-in laws kitchen. My mum-in-law is an fantastic cook(I bet most of our Indian moms are) and she brings an unique taste to typical Maharashtrian (West Indian) recipes. Whenever I am back home, breakfast is the meal I always look forward for. She has this great enthusiasm to prepare different breakfast delicacies every day and one of my her favorites is below. No matter how hard I try but I never get that same taste in my food. 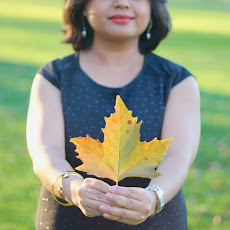 I can cook north Indian recipes best but want to learn West Indian recipes too. I think it has more to do with culture like Mexicans can make the best Mexican recipes, Italians the best Italian dishes, South Indians the best South Indian recipes....you got the drift right....no....never mind. Enjoy one of the breakfast recipes from West of India. Bon Appetite!! 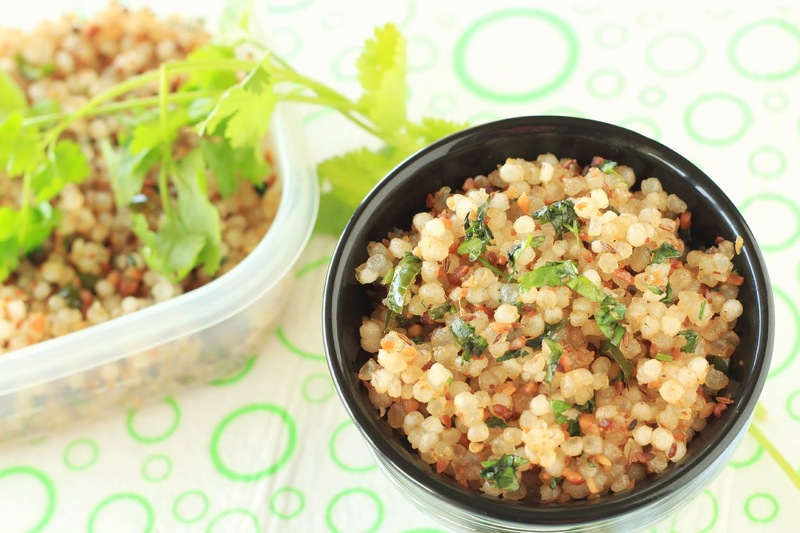 In India, this dish is commonly known as "Sabudana Ki Khichdi". Tapioca is called as Sabudana in Hindi in India and Khichdi is a kind of recipe that is usually taken during fasting days. 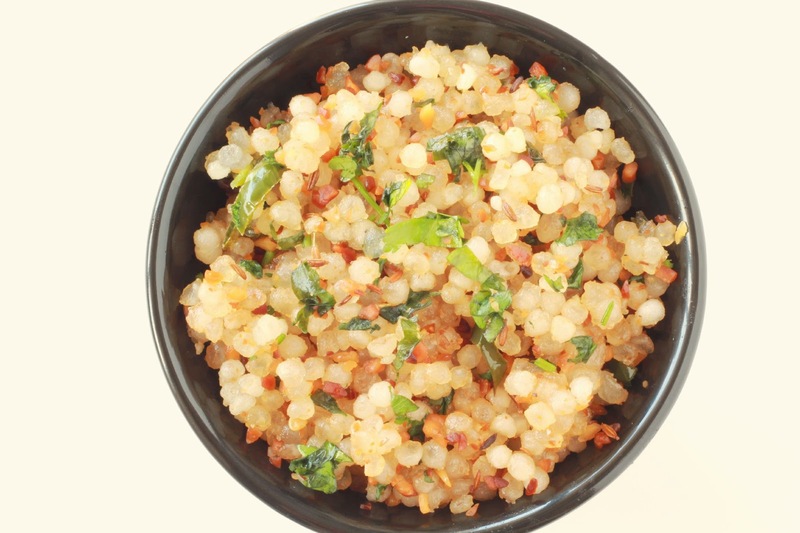 Sabudana Khichdi is most common recipe across the India but belongs to Maharashtra. 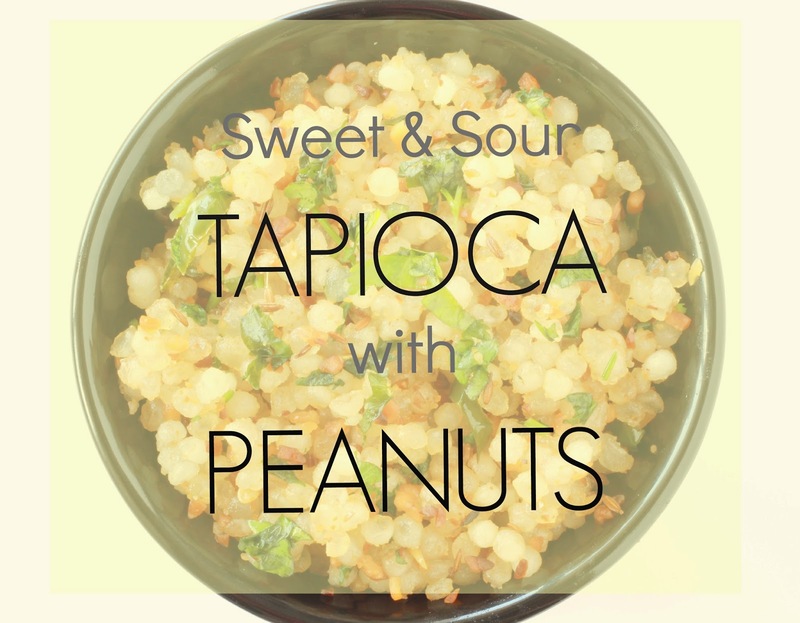 The key ingredients to this recipe are Tapioca and peanuts. Tapioca is pure carbohydrate and when mixed with Peanuts makes it a complete dish. The recipe is filling in nature and has a high energy content, therefore, it serves as ideal food during fasting. 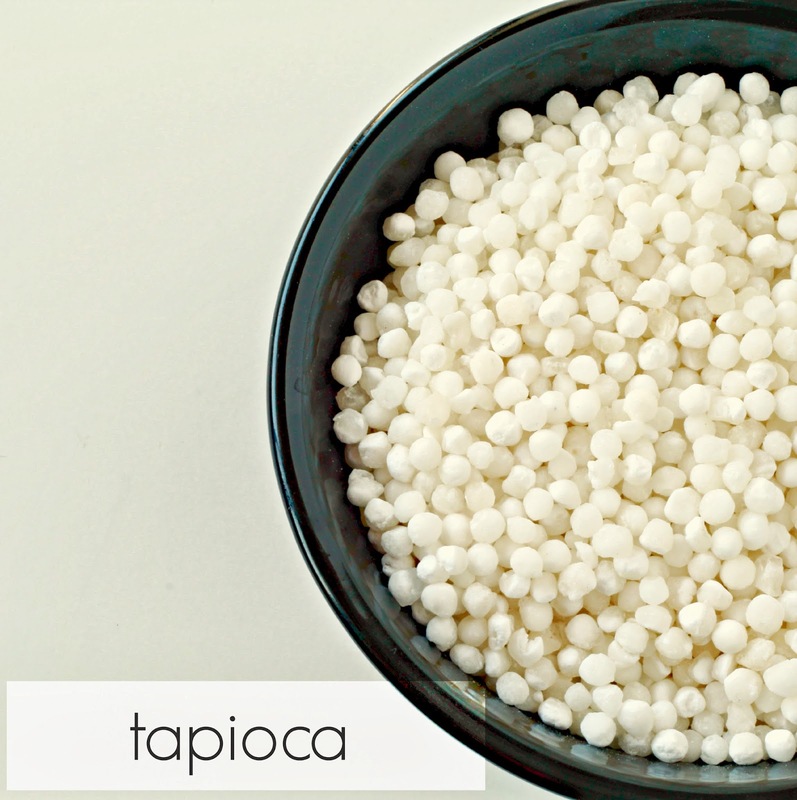 Take Tapioca in a bowl and rinse with water couple times. Fill water till Tapioca is fully covered and keep aside for fifteen minutes. Remove the water with the help of colander and let tapioca rest in same bowl for five to six hours. After five to six hours, lets start preparing the recipe. Take a wok and heat the oil on medium heat. Once hot, add asafoetida, cumin seeds and green chillies and saute for a minute. Add the tapioca and stir it for a minute. Then add peanut powder, sugar and salt. Cook on medium heat for two minutes with lid on the pan. After two minutes, take out in a microwave safe bowl and microwave it for two to three minutes. After three minutes, let it rest in microwave for couple minutes and then take out. 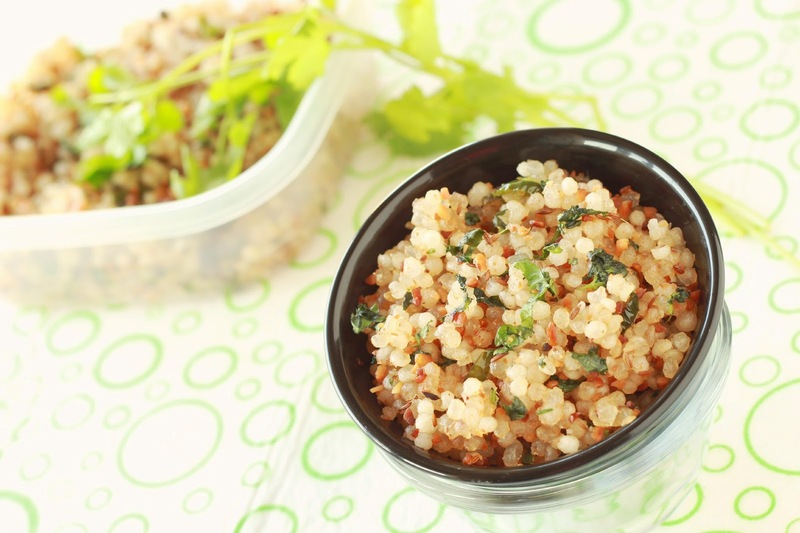 Sabudana Khichdi is ready to serve. Garnish with Cilantro and serve. Enjoy!! If you add one drop of oil in step 3, it will help tapioca to not to stick with each other and come out fluffy. Sugar & green chillies together adds a kick to recipe. 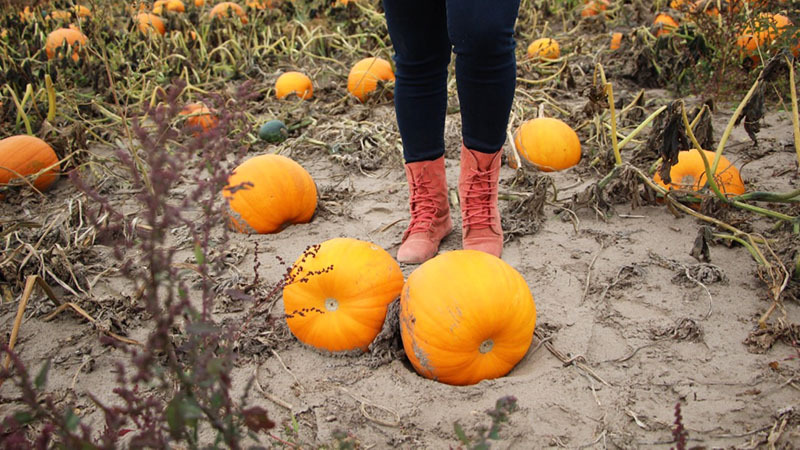 Without sugar, it comes out on a little bland side. You can cook the recipe alone on stove as well but in my experience, if you do that, tapioca might end up rubbery and hard to chew. Microwaving it really helps. Try out. For Roasted Peanut powder, I baked normal peanuts in oven at 400F for couple minutes laid on parchment paper. A nice aromatic smell of peanuts will start coming out when its about to done. 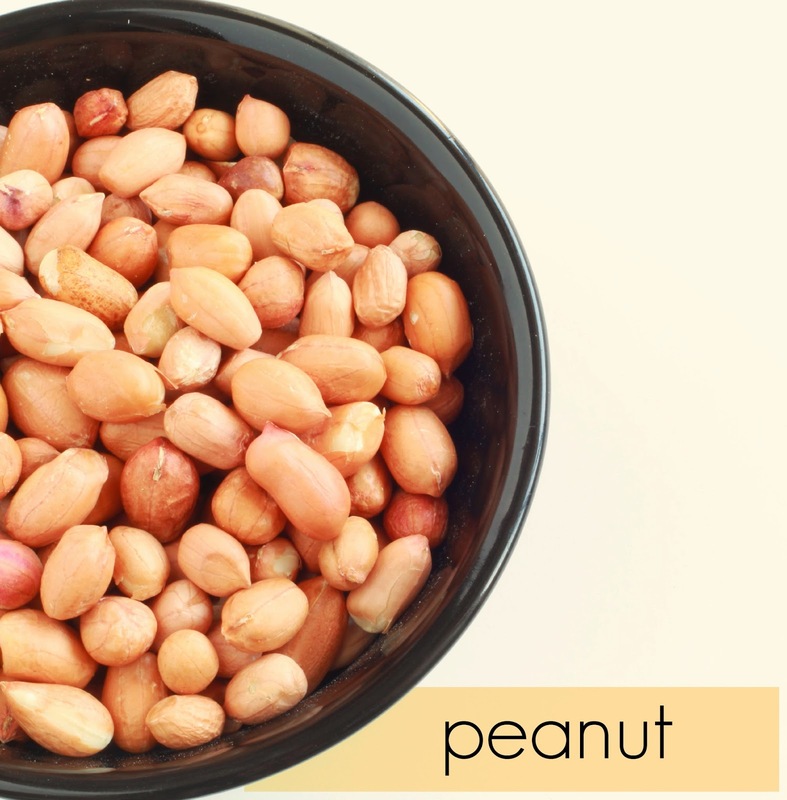 Do not leave the peanuts in the oven itself to get it cooled down. You will end up with burnt peanuts. These little crunchies gets done fast. After its cool, I simply churn it in a food processor till thick coarse powder.